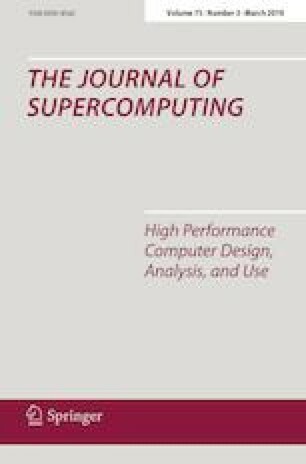 Heterogeneous computers require a well-distributed workload to operate efficiently. When possible, this load balancing procedure should redistribute the workload with minimal knowledge of the system architecture, to reduce overhead. We propose a generic dynamic load balancing technique for iterative problems, independent from the resource to optimize. Proof of this generalization is given through formalization of the designed technique. A heuristic algorithm is defined based upon this formalization, with a structure that facilitates different objective functions. As a result, swapping the objective function can be done with relatively low effort. This heuristic is implemented to minimize energy consumption in an application. We use this application to solve three different dynamic programming problems with multiple GPUs. The implementation is described and then compared against two different workloads, the homogeneous distribution and another dynamic load balancing technique. Our experimentation shows good results in minimizing the overall energy consumption with low overhead. This work was supported by the Spanish Ministry of Science, Innovation and Universities through the TIN2016-78919-R project, the Government of the Canary Islands, with the project ProID2017010130 and the grant TESIS2017010134, which is co-financed by the Ministry of Economy, Industry, Commerce and Knowledge of Canary Islands and the European Social Funds (ESF), operative program integrated of Canary Islands 2014-2020 Strategy Aim 3, Priority Topic 74(85%); the Spanish network CAPAP-H, and the European COST Action CHIPSET.